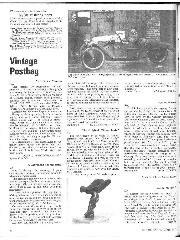 A reader called at our offices the other day with some literature left by his wife's grandfather, a Frenchman who worked for Talbot-Darracq from 1918 to 1934, one of his last tasks for them being to spend many hours preparing the fabric bodies of the Weymann saloon exhibits at that year's Paris Salon. One of the catalogues in the collection is for La Monotrace, an odd vehicle that was made in Paris in the early 1920s, and which sought to combine car comfort with motorcycle compactness and handling. To this end, it was a two-wheeled single-track vehicle, in which the passenger sat in tandem behind the driver, both within a proper body. As this precluded the occupants putting their feet down to support it when it was stationary or running slowly, an outrigger wheel was provided on each side to keep the machine from falling over. These tiny disc wheels had braced cycle-type mudguards and were in the plane of the Monotrace's back seat. The driver steered the front fork with a big cut-away wheel on which a twist-grip operated the throttle. 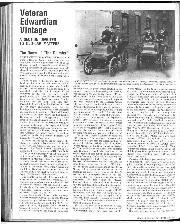 The catalogue gives no clue as to the engine and transmission arrangements but more details did reach the British motoring papers of the time. There are pictures of this odd machine climbing steep banks, cornering on the appropriate outrigger wheel, and even tackling la neige. Apparently two versions were made at the works at Saint Etienne, a de luxe Model with hood, lamps, Klaxon horn, wide screen and a luggage grid and a Type Sport that was devoid of these luxuries and had a smaller screen. The engine was water-cooled with a Small frontal radiator and a spare wire wheel could be carried. Paris abounded with such oddities at this period and one wonders how many were sold, from the offices and showrooms in the Champs-Elysees? The makers called themselves Morgan-Monotrace, which May or may not have been wishful thinking of a successful cyclecar with one more wheel made in Malvern Link. Probably not. Among other folders, in the collection are that for the Amilcar Compound, for 1933 Gnome & Rhone motorcycles, and a number for the 10 h.p. Citron, including Type Sport Caddy, a 3-seater torpedo with disc wheels but Haired Mudguards, and a vee windscreen. 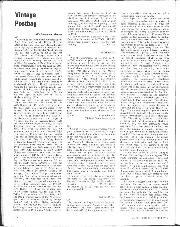 The brochure claims that the GP de Consommation at Le Mans in 1920-21 and 22 proved the 10 h.p. Citroen to be the most economical small car in the World. Other Citroen folders relate to the closed cars and the commercials, the latter covering the 400 kilo light van, La Normande truck, Le Boulangere covered truck and a camionette, as well as the Kegresse-Histin tracked-tourer. Finally, there is a booklet from the Velox photographic people, of Bagnolet, which has pictures of various French races, including Mme. Versigny in her GP Bugatti after presumably winning the 01' Feminin, Chiron in a GP Bugatti at Antibes, a BNC leading an Amilcar and a Salmson at the same circuit, Duhonnet in a wire-wheeled GP Bugatti at Le Mans, Campbell's Delage winning at Boulogne, Williams' GP Bugatti at Comininges, and in a Type 43A at la Cote, etc., not forgetting Morel's streamlined Amilcar at Monthlhery. Also a glass plate of a mysterious military-looking motor car, which you may be able to identify (See page 929). Thus do our readers entertain usl—W.B. V-E-V Miscellany.—Further to our recent comments on early Post Office motor vehicles, Mr. Young of Harrogate has sent us a photograph of an early motorised mail vehicle, a basket-work trailer towed by a solo motorcycle, its rider in uniform, which in 1902, when the PO used to contract out their transport, operated to Greenstreet, Doddington, Frinsted, Milstead and later, we are told, to Wormshill. 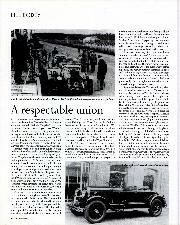 Much earlier, however, Daimlers were employed in the Redhill district. 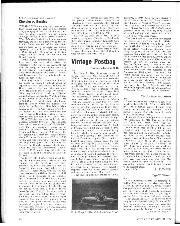 Mr. Young informs us that the reason why PO vans proceed so slowly, which we queried, is because they have governed engines to reduce wear and tear and fuel consumption, the fact that in 1974/5 the total mileage run on Telecommunications and Postal duties was 589,146,000, divided between 72,812 vehicles, making this restriction, unliked by many drivers, viable. Apologies to Roger Twelvetrees for mistaking his 14 h.p. sixcylinder Riley Kestrel saloon for a Nine on a recent Beano. A reader in Durham who acquired a 1926 S4 Bianchi more or less in running order but with delapidated saloon body, originally an Italian-built false cabriolet covered in good-grained fabric. The seats are missing and any help with dimensioned drawings, photographs, sales literature, etc., to enable correct-type replacement seats to be made and the correct equipment fitted, would be appreciated. Letters can be forwarded. A member of the Riley Register is trying to trace the 1935 Kestrel 12/4 he once owned, Reg. No. BAU 392, with chocolate body and yellow wheels, which he sold to someone in Fleet Street, in 1959/60. About 100 cars depicting the development of motoring, from a 1904 Riley Forecar to a Jaguar XJS coupe and a Triumph TR7 are expected to appear at Lambeth's Gala of Sport, in Brockwell Park, London, SE24, from 2 to 7 p.m. on August 1st. One feature they hope to stage is a "Lambeth on Wheels" display, relating to some 25 manufacturers who started production in the borough, like Vauxhall and AC. Lambeth Council is awarding the prizes. The VSCC of America has fallen for the post-war sports/racers cult, but with a list of selected pre-1960 cars only, intended to confine themselves to non-racing (i.e. sprint) events. The presence of such cars at the Watkins Glen vintage-car race has resulted in the VSCC of a A Committee taking action to decide whether this will be permitted in future. 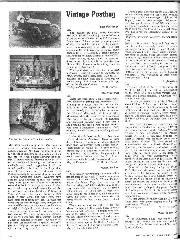 The Wolseley Hornet Special Club remains active and its Spring magazine contained useful information about working on the Hornet engine. The Shuttleworth Trust reports that restoration work has started on its 1898 Panhard-Levassor, while it is hoped to have the 1903 de Dietrich with replica Paris-Madrid body, that Richard Shuttleworth used to race in veteran events at Brooklands, ready for the VCC Transport Trust parade at Old Warden on September 26th, when historic aeroplanes are also to be flown, weather permitting. A workshop manual and maker's drawings are required by a reader in the IoW who is rebuilding a 1934 Wolseley Hornet the saloon body of which has virtually rotted away. Another Rolls-Royce Silver Ghost has been damaged by fire—a 1922 model in a warehouse blaze in Wisconsin. The Rolls-Royce EC's 1906 IoM TT Commemorative Rally is scheduled for September 22nd-29th. Following our piece about stork car mascots, P. A. Jack, the well-known aviation historian, sends us photostats of such mascots used by two more First World War units of the French Air Force, SPA67 and SPA167. Moreover, he informs us that the famous "Hispano-Suiza" stork can still be seen on today's Mirage IIIE fighters of the Escadron 1/2 Cignognes at Dijon; which might suggest a rally venue to the HispanoSuiza Society? A record entry was received last June for the Daimler & Lanchester OC's National Rally at Cirencester Park, and Mrs. George Lanchester drove up from the West Country to help and to present the prizes. The overall winner of the Concours d'Elegance was D. Boddington's 1911 Daimler A23 doctor's coupe. This was appropriate in Daimler's 80th Anniversary Year (about which we hope to be doing something next month), as the car belongs to the Daimler Co., was driven by the Foreman of the Jaguar-Daimler Works Transport Dept., and had been hand-painted by Ron Jones of the Company. Good show! The rest of the awards went to post-war cars. Before competitors dispersed their cars were formed up in a double victory-we and photographed from a helicopter. Old car folk, if not necessarily enthusiasts, collect all sorts of bric-a-brac these days and should be interested to learn that Black Cat have reintroduced their vintage motor car series of cigarette cards with text by Michael Sedgwick, and that Shell have reissued sets of ten different postcards from their 1904-1912 series which were given away to those buying their petrol in the red 2-gallon cans. The reproductions are very good indeed, and retain the 1/2 p Inland, 1p Foreign, postage-rates! Sets of ten different cards are offered by the PR Dept. 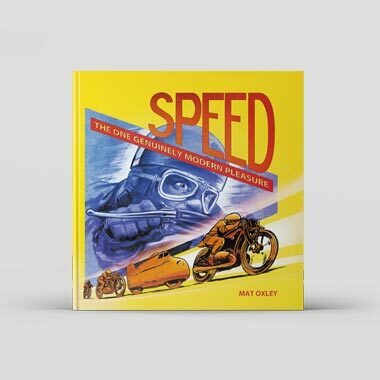 of Shell-Mex, at 50p postfree—the address to use is Publications Dept., UOMK/6212, Shell UK Oil, PO Box 148, Shell-Mex House, Strand, London, WC2R ODX, mentioning Motor Sport. A shop run to aid the Manchester & District Spastics Society has a kilo-calibrated but USA marked, Stewart Warner speedometer for sale, with 73 kilo on its odometer, a 0-100 k.p.h, speed-reading, nickel bezel and black markings, lead seals unbroken and dated Oct. 1928. Letters from those interested can be forwarded. The VSCC will hold its annual Prescott speed hill-climb on August 8th. The weekend of August 28th/29th will be a busy one, with the BDC Silverstone Race Meeting on the Saturday and the final VSCC Race Meeting at Cadwell Park on the Sunday. The latter will see the final round of this year's Motor Sport Brooklands Memorial Trophy Contest and the first race is scheduled to start at approx. 1.15 p.m. The big events at this meeting, are the 8, 10 and 12-lap scratch races, which are to be supported by several four or five-lap scratch and handicap contests. A 1931 Wolseley Hornet Special with single-carburetter engine and Swallow two-seater body is likely to be restored in Wales and a 1934 Wolseley Hornet, virtually without bodywork, in the loW. A workshop manual and body drawings are required in the latter case. The HCVC has decided to take commercial vehicles of pre-1957 manufacture under its wing. It now seems to be an open secret that a great old-vehicle display is to be put on next year in honour of Her Majesty the Queen's Silver Jubilee. The first day is to be devoted to a gigantic parade and inspection of Rolls-Royce cars of all ages, organised by the RREC, with especial emphasis on Silver Ghosts for the Silver Jubilee, when it is expected that the largest assembly ever of Ghosts will he driven from Windsor Castle to Ascot via the Long Walk in Windsor Park, once before used for a VCC assembly. This is fine for owners of these great motor cars, in the Ghost'S 70th year. But in view of Royal preferences in the past, we would have thought 3 great parade of Daimlers more appropriate! 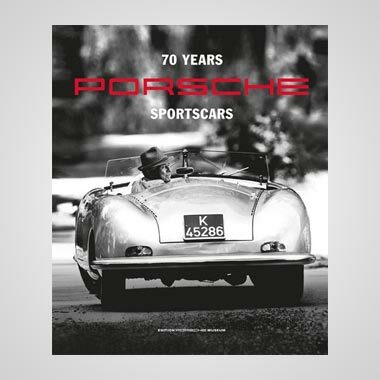 These days, most magazines have colour front covers and the idea of using thereon a big photographic black-and-white reproduction has gone completely out of fashion, although this used to be a striking feature of The Light Car & Cyclecar in pre-war days. 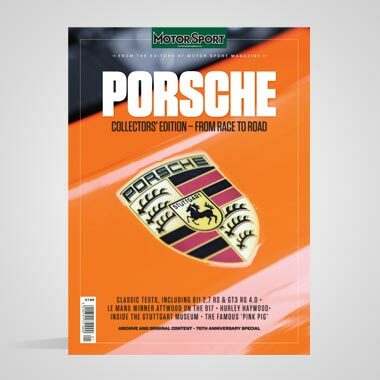 However, the exception that proves the rule is Old Motor and one of its best photographic front covers appeared last month, depicting the late Ernest Eldridge fuelling a 1929 Chrysler 72 roadster at Felsham garage with BP petrol, not far from the Chrysler works. While highly commending this splendid front cover, the story within about this Chrysler is sadly wide of the mark, although with the passage of time and the complexity of International record-breaking, this is to some extent excusable—the status of World's and International Class records is still confused, in high places. 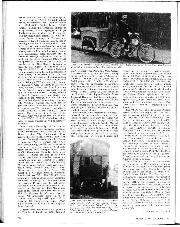 The thing comes to the boil in an interesting article by Bernard Tuckwell about his experiences when working at the Chrysler/ Dodge depot at Kew from 1926 until about 1934. He recalls this Eldridge two-seater as being prepared for an attack on a 24-hour record but says this was the World's 24-hour record, broken at Brooklands in July 1928 at 108.03 m.p.h., which wrested this honour from the Bentley, which had averaged 98.6 m.p.h. for the 24 hours. Now honour where honour is due! The Chrysler did NOT beat the Bentley. And the record could not have been broken at Brooklands, where a ban on night running had been in force since 1924. What Eldridge was after, with this nearstandard Chrysler two-seater, was Peugeot's International record in Class-C (3,000-5,000 c.c.). This he successfully broke. but at MontIhery, in March 1929, aided by George Eyston and Kaye Don, at 72.37 m.p.h. He was certainly not after the World's record, which Voisin had held since 1927, at 113.50 m.p.h., and was annoyed at the time when the daily Press gave that as his objective. Nor did the Chrysler vanquish the Bentley, which had held the International Class-D record at 95.03 m.p.h. since 1925, this run also being made at Montlhery, by Duff and Barnato. Quite why Mr. Tuckwell went about telling his anti-American-car friends of this triumph over the British car isn't clear, especially as, before the year was out, the Chrysler's own record had fallen to the Hon. Mrs. Victor Bruce, with her splendid one-driver run in a 4 1/2-litre Bentley, at 89.57 m.p.h. The performance of the Chrysler, just a two-seater in road-trim with a big fuel tank in its dickey, was nevertheless most creditable. But the fact remains, as facts have an awkward habit of doing, that the Chrysler did not go better than a Bentley. It was slower by over 22 m.p.h. for two rounds of the clock than the 3-litre Bentley, which admittedly one would expect to take a higher degree of tune, and a mere woman, on her own, beat the speed achieved by the three professional racing drivers who shared the American car, admittedly a 4-litre side-valve against a 4 1/2-litre o.h.c job, by a matter of more than 17 m.p.h. 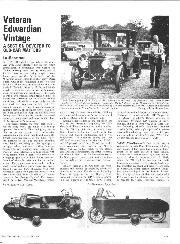 Later in the same article Mr. Tuckwell refers to testing over 200 miles at Brooklands three experimental Chrysler Imperials with Roots superchargers between their front dumb-irons. This is new to me, although I know Stutz used this supercharger location. It seems that these blown 40/125 Chryslers were not proceeded with.—W.B.